I have never been much of a trendsetter. The clothes in my closet today look quite a bit like the clothes in my closet in the 70s with the exception of a few Hawaiian shirts that I added 10 or 12 years ago. However, today I find myself in the forefront of a trend—namely, growing my own food. 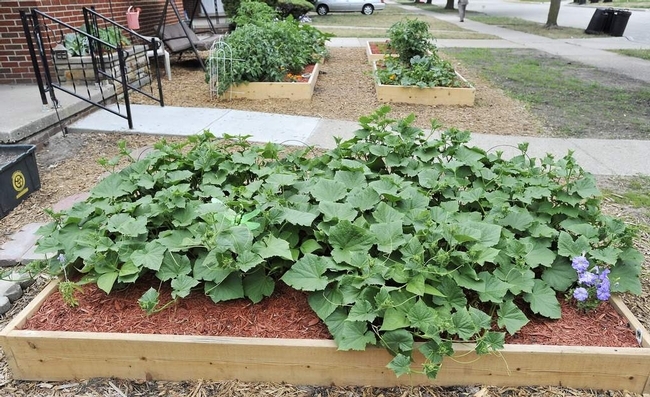 When I planted my first vegetable garden in a Chicago suburb in the early 1970s I had no idea that what I was doing would be a trend 40 years later. According to the National Gardening Association, more than 43 million American households planted a vegetable garden in 2009. That represents 37 percent of all U.S. households and a 20 percent increase over 2008. So what's driving people to grow their own food? 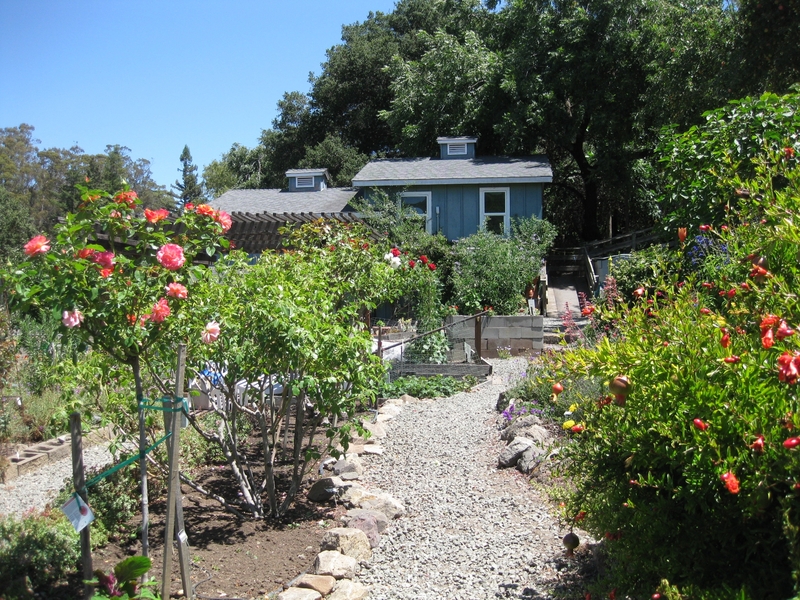 Economics: In 2008, Americans spent $2.5 billion on their food gardens. The return on this investment was $21 billion. The average household with a 600-square-foot garden spent $70 a year and, in return, received $600 worth of veggies. Sure beats the stock market. Food safety: Reports of food-borne illness appear regularly in the news. The use of pesticides in farming is a continuing concern. Many processed foods contain additives and preservatives that a growing number of people want to avoid. If you grow your own food, you know exactly what is in and on it. Exercise: Gardening provides an excellent cardio and aerobic workout. Studies show that an hour of gardening can burn as many as 300 calories for women and almost 400 calories for men. Spend some time bending and stretching in the garden and you'll feel like you've been to an exercise or yoga class. Taste: There's simply no comparison between a tomato you pick from your own garden and one purchased from a supermarket. Food you grow will always be fresher and therefore tastier. Environment: If you grow your own food, you're not supporting industrial agriculture. One family's impact may be small, but collectively, the environmental benefits add up: fewer pesticides polluting the water supply and fewer chemical fertilizers causing soil erosion. 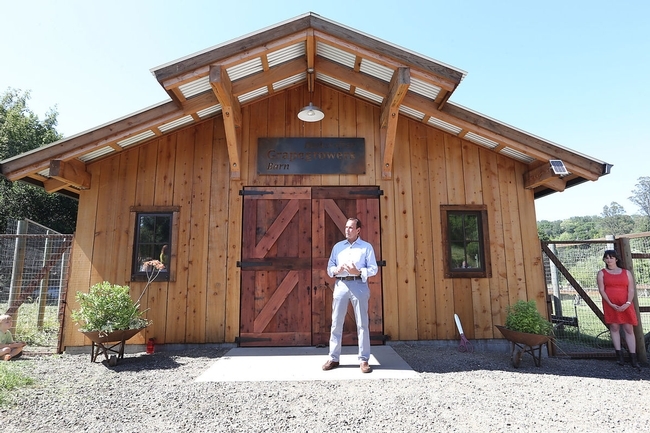 In a home garden, you're not using the fossil fuels that heavy farm equipment requires. You and your family provide the energy, and you control the amount of water used. Family: Gardening can help bring your family together to learn about how food is grown and what it takes to put fresh produce on the table. It's a great way to teach children and grandchildren responsibility and to develop a strong work ethic. 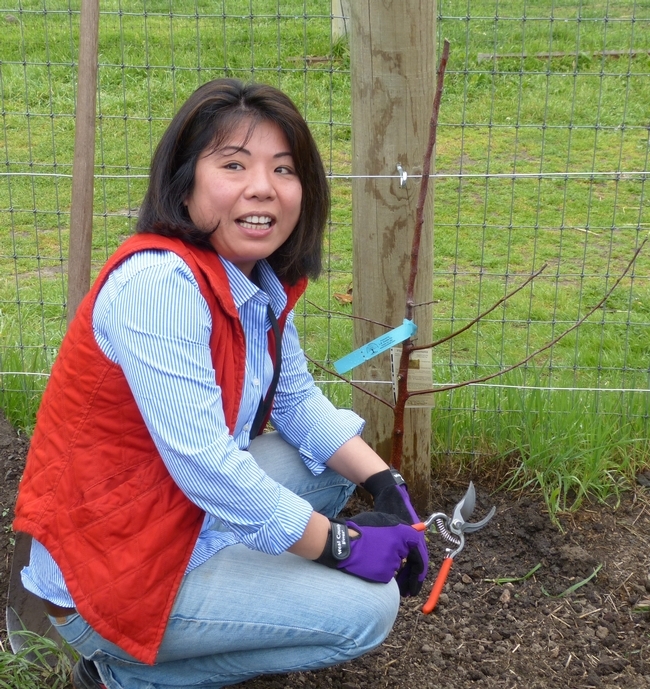 Social: Gardening provides the opportunity to expand your social circle. Truly serious gardeners may want to become a certified U.C. 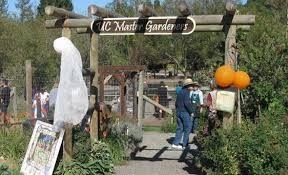 Master Gardener as I did. 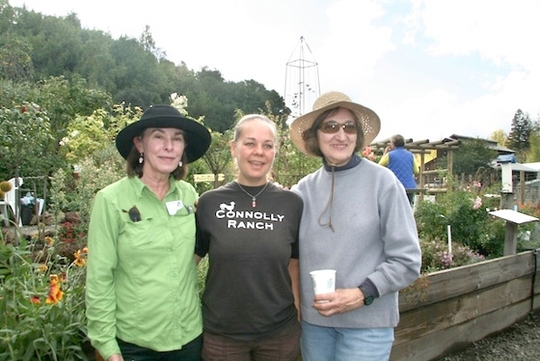 Since becoming a Master Gardener last year, I have probably tripled the number of people I know in Napa Valley. Community: If you have enough room to grow your own food, then maybe you have enough room to grow food for others. Nothing like dropping off 10 pounds of excess tomatoes at the local food bank to make you proud and happy. If you don't have room for a garden, you can still grow food. Consider container gardening if you have a sunny patio. You'll be pleasantly surprised by how many tomatoes, peppers, eggplant or zucchini you can grow in pots. Alternatively, you can rent space in one of Napa's community gardens. One downside to growing your own food is that you risk becoming a garden geek or food snob. You may become fascinated with exotic garden tools like the Japanese horihori knife. You consider calling the water police when you see your neighbor watering not only the lawn but also the driveway, sidewalk and street. You turn up your nose when you see someone buying chemical fertilizers, herbicides or pesticides and have to resist telling them off. You gravitate to people using terms like integrated pest management and pinching off. Worst of all, you may become convinced your tomatoes are better than anyone else's and enter them in the Napa Town & Country Fair. No matter what drives you to grow your own food, I think you will find that your new hobby gives you and your family great pleasure and improved health while saving money and helping the environment. Workshop: Napa County Master Gardeners will conduct a workshop on “Cool Season Veggies” on Sunday, August 17, from 2 p.m. to 4 p.m. at the Yountville Community Center, 6516 Washington Street, Yountville.Grow your own vegetables even when days are short and nights are cold. Learn which vegetables thrive in cooler temperatures, how to protect them from heat when they are getting started, and how to time planting to ensure months of harvest.To register, call the Parks & Recreation Department at 707-944-8712 or visit their web site. 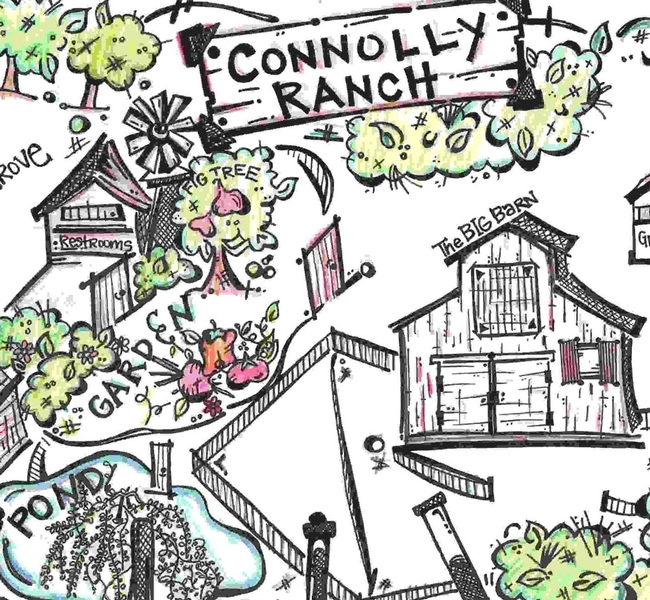 Workshop fee is $10 for Yountville residents, $12 for others. If vegetable and flower gardening mean summer to you, your biggest chores in July will be watering, weeding and harvesting. But if your kitchen garden is a year-round endeavor, your “to do” list is a little longer. For gardeners in July, water is the thing. If you have a drip system, visit your garden and check in with each plant. Make sure all emitters are free of dirt and debris and that water can flow freely. Adjust water timers so plants are not watered at night; many plants are susceptible to mold and fungus, and a long, damp night can encourage disease. Better to water in the early morning, when the rising sun will dry the leaves, and the roots will be hydrated for the heat of the day. Citrus trees, stone fruit and flowering trees will appreciate a deep watering every week or two through the hottest months, but remember to cut back on water before harvest to intensify the flavor of stone fruits, and avoid peaches and nectarines that are watery and tasteless. Check hanging baskets and potted plants under eaves. Are they getting enough water to look their best? The July sun can be pretty brutal. Occasionally soak your potted and hanging plants to completely hydrate, especially if water seems to run off quickly when you water, and the soil is dry if you prod a few inches down. 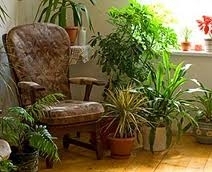 Move suffering potted plants to cooler locations until temperatures ease. Bougainvillea is an exception to the rule. Its flashy beauty does better when kept on the dry side, so do not water them until the soil is dry several inches down. If you have dahlias in your garden, trim them back as the first flush blooms. They have worked hard. Deep water and fertilize to encourage another bloom. If you planted zucchini, winter squash, beans or cucumbers early, you can plant them again in July. Planting another hill of zucchini or other summer squash, or cucumbers and early melons can extend your season after your original spring planting is spent. Pull out the used-up plants. 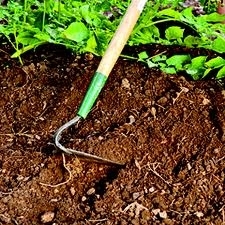 Work in some new compost, water well and think about what you want to plant there next. For fall gardeners, your choices to plant from seed are many; bush beans, beets, broccoli, cabbage, carrots, cauliflower, green onions, peas, spinach, and turnips. Winter squash and winter greens can also be planted. Kale, basil, spinach, bulb fennel, well-watered radishes, lettuce and mesclun mixes can also be sown now. Just water regularly and never allow new seedlings to dry out. Remember when you plant seeds that the beginning is the most important. After germination, if that fragile little seedling dries out just once, it will not grow. If you notice that your plants start to lose their vibrant green and look a little yellow around the gills, they are trying to tell you they have used up all the energy in the soil. Following the instructions on your jug of fish emulsion, or the labels on other amendments or fertilizers can help green them up and help them produce abundant crops. When your crop is harvested and the bed is empty, replenish with compost and other organic matter or plant a cover crop to furnish the nutrients your next plants will need. Remember your garden hygiene. Keep fallen fruit and overripe vegetables picked up off the ground to avoid attracting rodents, raccoons, skunks and other pests to the garden. Rake plant material up and add to your compost pile. After you harvest your blackberries, raspberries or ollalieberries,cut this year's spent canes all the way to the ground to refresh your plants for next year, and tie up the new canes as they begin to grow. You can start new perennial plants from cuttings now. Choose 5-inch long shoots of fresh growth with no flowers or buds of plants including dianthus, Shasta daisies, geraniums, salvias, verbenas and many other herbaceous perennials. Choose a rooting hormone at your local nursery or garden center, and follow the directions for using it. Rooting hormone greatly improves your chances of successes with many cuttings. Use seed starting mix or succulent mix for your cuttings or make your own mixture of half perlite or vermiculite, and half peat moss. When your plants are rooted, transplant to the garden or a container with a nutritious potting soil or mix. Whether your chores are simply picking tomatoes and watering the zucchini, or getting your greenhouse in full swing for your fall crops, take the time to look at all you have accomplished since spring. Or, if the early planting season got away from you, vow to have your first cool season garden this year. The main thing is to enjoy July. It is summertime. 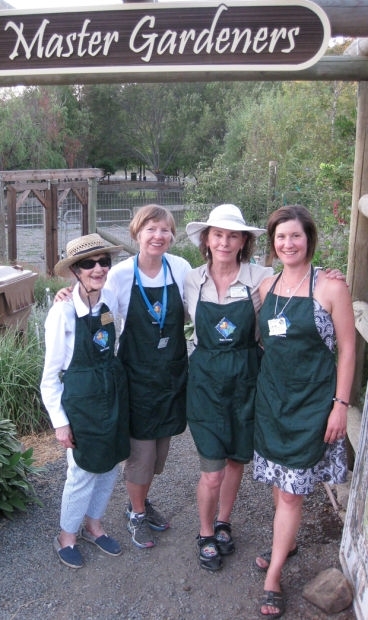 Master Gardeners are volunteers who help the University of California reach the gardening public with home gardening information. 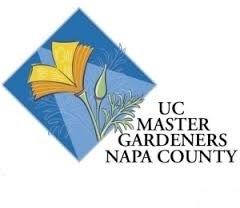 Napa County Master Gardeners ( http://ucanr.org/ucmgnapa/) are available to answer gardening questions in person or by phone Monday, Wednesday and Friday, 9 a.m. to Noon, at the U. C. Cooperative Extension office, 1710 Soscol Avenue, Suite 4, Napa, 707-253-4143, or from outside City of Napa toll-free at 877-279-3065. Or e-mail your garden questions by following the guidelines on our web site. 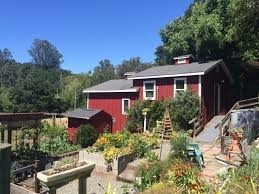 Click on Napa, then on Have Garden Questions? 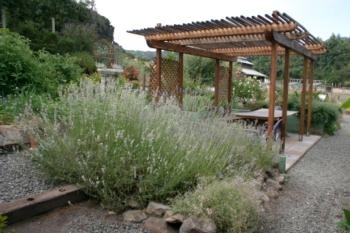 Find us on Facebook under UC Master Gardeners of Napa County.